The term Black Sun (German Schwarze Sonne), also referred to as the Sonnenrad (the German for "Sun Wheel"), is a symbol of esoteric or occult significance. Its design is based on a sun wheel incorporated in a floor of Wewelsburg Castle during the Nazi era. Today, it may also be used in occult currents of Germanic neopaganism, and in Irminenschaft or Armanenschaft-inspired esotericism - but not necessarily in a racial or neo-Nazi context. 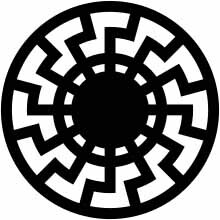 Despite its contemporary use, the Black Sun had not been identified with the ornament in the Wewelsburg before 1991, although it had been discussed as an esoteric concept in neo-Nazi circles since the 1950s. In alchemic and Hermetic traditions, suns are employed to symbolize a variety of concepts, much like the sun in astrology. Suns can correspond to gold, citrinitas, generative masculine principles, imagery of 'the king' or Apollo, the fiery spirit or sulfur, the divine spark in man, nobility, or incorruptibility. Recurring images of specific solar motifs can be found in the form of a "Dark" or "Black Sun", or a green lion devouring a sun. Sol niger (black sun) can refer to the first stage of the alchemical magnum opus, the nigredo (blackening). 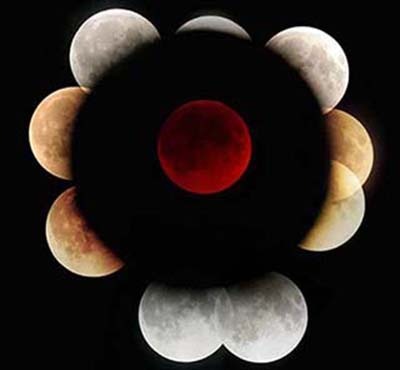 In a text ascribed to Marsilio Ficino three suns are described: black, white, and red, corresponding to the three most used alchemical color stages. The black sun is used to illuminate the dissolution of the body, a blackening of matter, or putrefaction in Splendor Solis, and Johann Daniel MyliusÕs Philosophia Reformata. 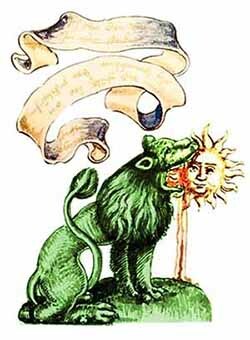 There is a persistent belief in alchemaic and hermetic tradition in the existence of two suns: a hidden one of pure "philosophical gold," consisting of the essential Fire conjoined with aether, and the apparent one of profane "material gold." 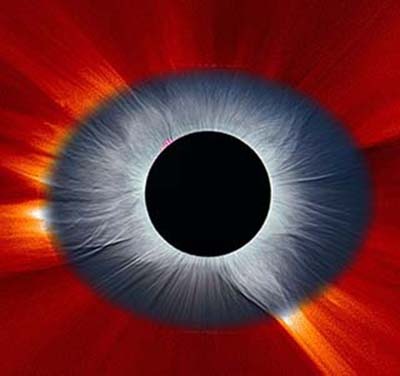 The "dark, consuming fire" of the material sun leads it to be called the "Dark" or "Black Sun. "According to the Book of the Holy Trinity, after Adam's fall, tainted by Original Sin, man is made "from the black sun's fire." Heraclitus (6th century B.C.) refers to the holy fire of the former as "artistic" fire. Its invisible effect supposedly distinguishes the Work of alchemists from that of profane chemists. It is possible that these teachings influenced Philolaus in the development of his groundbreaking theory of the Central Fire. This is supported by the fact that the various teachings regarding multiple alchemaic suns are sometimes attributed to Empedocles, who was a contemporary of Philolaus, and his senior. 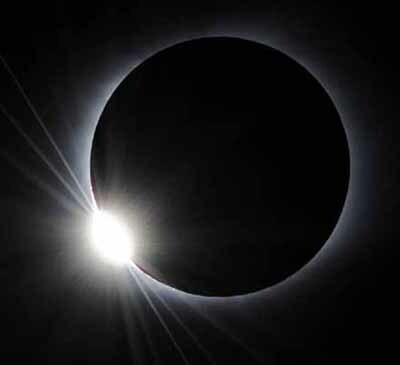 However, this connection may be coincidence, as it is likely that the attribution of these ideas to Empedocles may stem from an imperfect understanding of his cosmology in regard to the reflective nature of the Sun. Sol niger (black sun) is also the name of the result of the first stage of the Opus Magnum in alchemy, the blackening (nigredo). The complete Opus magnum (Great Work) ends with the production of gold. The Opus magnum can also be understood in a mystic way: see Alchemy - The Opus magnum Contemporary usage of the term "Black Sun" can be found in the works of esoteric musicians like COIL and Boyd Rice and occult groups such as Black Sun Rising a Pylon of the Temple of Set. The Black Sun in Mesoamerican mythology has many mystical meanings, among them it is connected to the god Quetzalcoatl and his penetration in the Underworld through the west door after his diurnal passage on the sky. For the Mexicas there were two suns, the young Day sun and the ancient sun, the Dark sun. Some scholars regard the mythological Black sun as the ancient female origin of all, it is both tomb and womb. This way, it is the oneness that uniformly integrates unawareness, death, and yet an expectation of fecundity. The Aztecs associated the passage of the Black Sun, on its nightly journey through the underworld with the image of a butterfly. The butterfly, in turn, is an archetypical symbol of the transcendent soul, transformation and mystical rebirth, whereas also seen in the figure of the frightening earth goddess Itzpapalotl, the "Obsidian Butterfly", that devoured people during the solar eclipses, while the Aztec underworld was the eternal dwelling place of the souls. According to the Codex Rios, the underworld was made of nine layers. The first level was the Earth's surface, which also had the entrance, or the face of a gigantic toad that devoured the dead and gave access to the other eight lower levels. The souls of the dead occupied the ninth level known as "Mictlan Opochcalocan". The Black Feathered Sun is a Plains Indian symbol with stylized feathers pointing both inwards and outwards; inward towards the center and outward to the circumference. It combines the symbols of the sun and the eagle and depicts the universe; the center; solar power; radiation of power; and majesty.